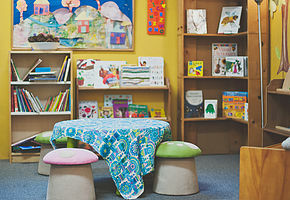 Global Garden is an International Seattle Preschool currently located in Ballard established in 2002. Tours for our Ballard location are available on a limited basis and only scheduled after a phone conversation with the School Director or Head of the Board. Our preschool offers an introduction to Spanish and Mandarin languages. Language Immersion classes are also available. We are based in the tradition of Reggio Emilia with an emphasis on global awareness. Global Garden Preschool is proud to be a community teaching partner with the University of Washington. Established in 2002. GGIS offers limited spots for children not potty-trained are 2.5 to 3 years of age. Pre 3's are allowed to attend 2 days a week from 9:30-1:30 depending on space. Permission must be granted by Director and only after observation. This is a mixed age classroom with children 3 to 5 years of age. 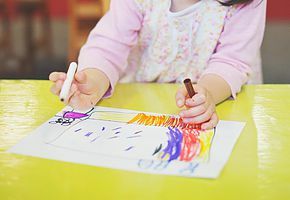 Preschool Class is held Monday through Thursday from 9:00-1:00 or 9:30-1:30. Preschool is offered for 4 days a week to maximize language proficiency. This is a mixed age class with children 2.5 years to 5 years of age. Foreign Language Immersion is held every Friday from 9:00am-2:00pm. Spanish and Mandarin are being offered at this time. Classes are taught by certified native speaking teachers.